Fortnite is the biggest game on the planet right now and you bet Epic Games wants to keep it that way. How? By continuously updating the game with new content such as skins, weapons, loot, challenges and more. Let's take a look at everything that's new with Fortnite. Fortnite's Content Update 8.20 has arrived with a new weapon in the form of a bow. But this isn't your grandaddy's Ye Olde Archerye. The new Boom Bow is a pulled bow that shoots arrows tipped with shotgun shells that explode upon impact. Yes, it's exactly as awesome as it sounds. Holding fire to increase your draw strength will increase both the arrow's speed and the impact damage, but the explosive damage will always be 100. Naturally, it uses shotgun shells as ammo. The Sniper Shootout LTM is back in the spotlight, or should that be crosshairs? Sniper rifles are the only weapons allowed, and Floor Loot spawners are reduced by 50%. Reviving "Down But Not Out" teammates in Duos and Squads is disabled, take care and take aim. Every season comes with its own Battle Pass. Epic Games have announced that over 100 new exclusive rewards are ready for you to unlock, including the weapon and vehicle Wraps and new skins. The price? Still steady at 950 V-bucks. Naturally, the season comes with a ton of new piratey goodies, new skins and gliders, rousing theme tunes and something for the fruit fans - Peely the banana skin. Those are the main content changes to Fortnite Battle Royale, but there's a lot more going on including balance adjustments, new events, bug fixes and convenience tweaks. Creative Mode gets more assets and the PvE Save the World mode gets a brand new weapon in the form of the Cannonade Launcher. To get the full list of changes to all modes, you can comb through Epic Games' extensive patch notes. 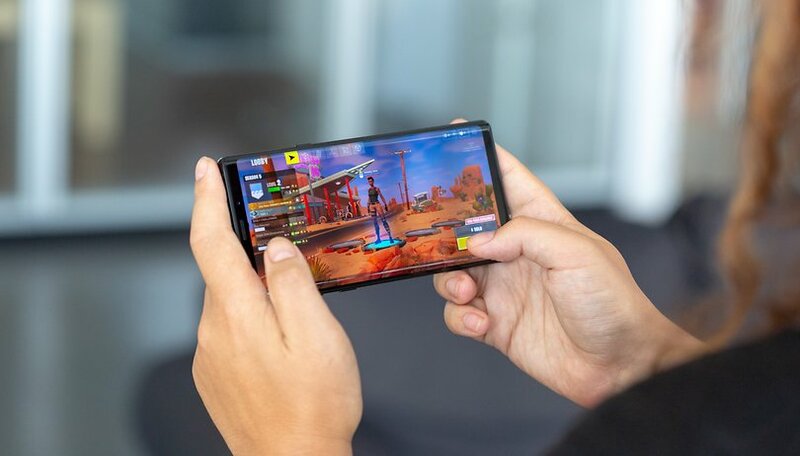 Want to play Fortnite on your Android phone? Get it here. Which is the best battle royale? What do you think of the latest changes to Fortnite Battle Royale? Please someone give me an advice whether I should buy a new $1000 flagship smartphone or go for a distributed investment on a budget flagship like POCOPHONE/Oneplus /Honor flagship /Asus flagship and a DSLR Camera. I want good of both the worlds, photography and great smartphone. I am not a professional money oriented photographer, but would like to click great photos, and would like to have a powerful smartphone at the same time.